Are you feeling bloated almost all day? Maybe you only wake up bloated but it sets your whole day off on the wrong track? It can be difficult to get anything done or feel great when you are bloated. The great news is you can do something about it. There are some great, easy tips on getting rid of bloated weight. If you are ready to feel at your best all the time, you need to stop being bloated and here are some excellent ways that you can do this. 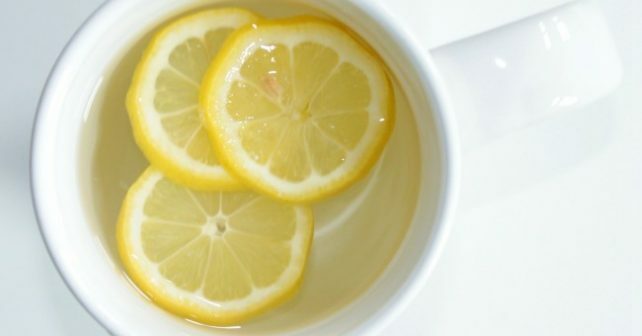 One of the best tips for getting rid of bloated weight is to drink warm water with lemon. You can drink this at any time of the day but the best time is firs thing in the morning when you wake up. You should drink this before you eat anything or accomplish anything else. The lemon juice is going to help you get your day fresh and get your morning routine going smoothly. It will also help to reduce your bloating all day long as well. If you start feeling bloated again later in the day, make sure you have some warm lemon water available so you can drink some more. Too many men grab something to eat quickly when they are on their way home from work. They may even grab something fast on their way to work or when they are working. If you are used to eating when you are moving, you need to stop doing this. It is not only going to make you bloated but it will cause you to gain weight as well. Eating when moving will even make you feel dull and lose energy as well. When you are busy, you need to take your time to eat healthy. If you are eating when you are moving, you will literally swallow air which causes bloating. You need to spend time chewing and sit down when you eat. You deserve to enjoy your food instead of rushing through each meal and snack. From now on, if you want to get rid of bloated weight, no more eating when you are moving. In many diets and in a lot of healthy information, you will read that eating raw vegetables is good for you and it is. However, you should limit your intake of raw vegetables. These are very high in fiber which means they are more difficult for your digestive system to process. When you eat too many foods that are high in fiber, you will become more bloated because the food is stuck in your system longer. Try healthier alternatives for making your vegetables. You can roast, steam or even grill them. These techniques for cooking your vegetables will help you break up the skin on them which makes it easier for your system to digest. Another way that you can reduce the bloated weight you have is by drinking water more. Think right now about whether you are drinking enough water. Are you drinking water in the morning? Do you drink some before every meal? Are you drinking water before you go to bed or during your work out sessions? These are all times when you should be drinking water. If you aren’t drinking enough water, your body becomes dehydrated and that causes more bloating. This is an easy fix. If you don’t like water just chug down a bottle quickly a few times every day and you will be fine. Water helps to get your metabolism going which also reduces bloating as well. 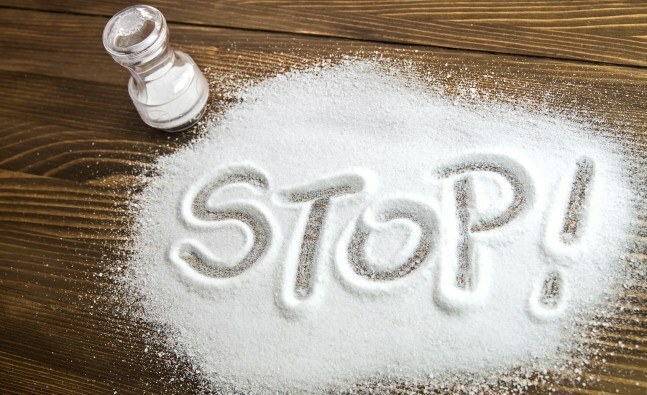 One of the main reasons you may be getting bloated is because of your salt intake. If you are taking in too much salt, that is going to greatly increase the amount of weight you gain due to bloating. When you take in sodium, it causes fluid to build-up in your body and that makes it more difficult for your heart to work as well. If you cut down on your salt intake you can reduce your chances of bloating. One of the easiest ways to reduce your salt intake is to make your own meals. These are some of the tips on getting rid of the bloated weight. If you are hoping that you won’t have to suffer any longer from bloating or have to deal with the extra weight from being bloated, there are the tips you must follow.